Congratulations, you have a new job! You have more responsibility. You work more hours. Colleagues can call you for help in your time off. To top it all, they know exactly what you’re doing. Like, they can see every mistake you make. Lucky you! Isn’t that weird? How could it possibly be that employees feel happier and less stressed, while doing more work and taking on more responsibility? To find out we need to understand more about emotions, and especially about emotions in organizations. Unlike pop-management books, I’d like to use academic papers as a source. But please stay with me. I invite you to join me on an emotional journey! Before we go into depth, here is some background on emotions and how they work. The ‘Organismic Model’ is one of the first attempts to capture the concept of emotions. It was based upon the work of Darwin, Freud and James, all of whom agreed that emotions are a biological process with a signal function—something that prepares us for action. For example: You see a threatening animal with big teeth -> Be scared -> RUN!!! As Darwin might have liked, this model evolved. It became ‘The Interaction Model’ which kept the biological aspect but added social entry. According to Fineman, Gabriel & Sims, the added influence of social context, makes people react differently. For example: A call-centre representative is angry with a screaming customer. When the customer calms down and apologises, the call-centre rep. says; ‘I understand’, even though the emotion she feels is completely different. She withholds her anger, probably because she knows it is ‘professional’ behaviour demanded by her job. Hochschild would describe the effort the call-centre representative makes as “emotional labour”. By which she means “The management of feelings to create a publicly observable facial and bodily display”; in this case a display that is fit for the specific social context. Hochschild was also one of the first to theorize about emotions in organizations. Her ‘New Social Theory’ kept some aspects of the earlier models, but highlighted some major differences. “It is not simply true that the malleable aspect of emotion is “social” (the focus of the interactional theorists) and that the unmalleable aspect of emotion is its biological link to action (the focus of the organismic theorists). Rather, the unmalleable aspect of emotion (which is what we try to manage) is also social.” (Hochschild). Imagine the same threatening animal with big teeth is here again, except this time you’ve heard from your colleagues it is actually not so scary after all. One of them even stroked it. There is now no reason to be scared. The animal didn’t change, but the (emotional) signal did, and it did so because of an external influence. So why all this talk about emotions? We work, and work asks for people to be rational in order to make good decisions, right? Wrong! Many academics have shown that emotions have great influence on decision-making. Some argue that over 90% of the decisions we make are irrational. So if you think that work is always rational, think again. Stephen Fineman, an influential researcher of emotion in organizations, tried to capture the intensity of lived emotions by describing organizations as “emotional arenas”. According to him, and others, emotion can be found everywhere within an organization: within objects (Fineman), between people (Fineman, Goffman, Hochschild, Theodosius). And within the body, like tightening of the chest, or dryness in the mouth, when you get really angry (Fineman, Goffman, Johnson & Johnson). And sometimes emotions can come out of thin air, as in the smelly factory around the corner (Fineman). In his books, Fineman says emotions can be socially constructed. This perspective focuses on how feelings, thoughts and sensations are labelled and displayed, and the social and cultural contexts that provide the vocabularies and rules of emotion. He says emotions are produced and reproduced by all forms of discursive and institutional practices, like family, TV programs, films, schools, the internet, the Corporate Rebels Blog, religious authorities, organizations, governments, and even one’s own experiences of emotions during a specific task. What this can lead to is a person recognizes a situation and knows that, based on what he learned from discursive and institutional practice, a certain emotion should be felt. Can you think of other examples? Perhaps “I hate Mondays”, “I hate my boss”, “Work is not supposed to be fun!”, “You can’t fail!”? Based on the social constructionist perspective of emotions in organizations it is hard to pinpoint why the employees of Decathlon, Handelsbanken and Buurtzorg experience less stress. To find the exact reason, more research needs to be done. In the meantime, I’d like to speculate. What is interesting is that the employees I spoke to mentioned the work itself did not change much. But what did change was the social context they did it in. Somehow the emotions connected to certain experiences changed in this new social context, making employees perceive the same experiences in a totally different ways. From “If you fail, you get fired” (Scary!) to “Failing helps me grow and become better” (Happy!). From: “I can get a call and have to go to work anytime, I never feel as if I have time off” to “My colleagues will only call me when there is really no other solution, and I’d be happy to help them with that”. Do you recognize this? Or do you have any feedback, personal examples or questions? Leave a reaction in the comments and I’d be happy to react. Enjoyed this blog post? Make sure you subscribe to our newsletter for more content on radical workplace pioneers. Also, join our fast-growing Slack community of over 1,900 fellow rebels by clicking this link. This guest blog is written by Bram van der Lecq. Bram is currently finishing his master Culture, Organization and Management at the Vrije Universiteit Amsterdam. 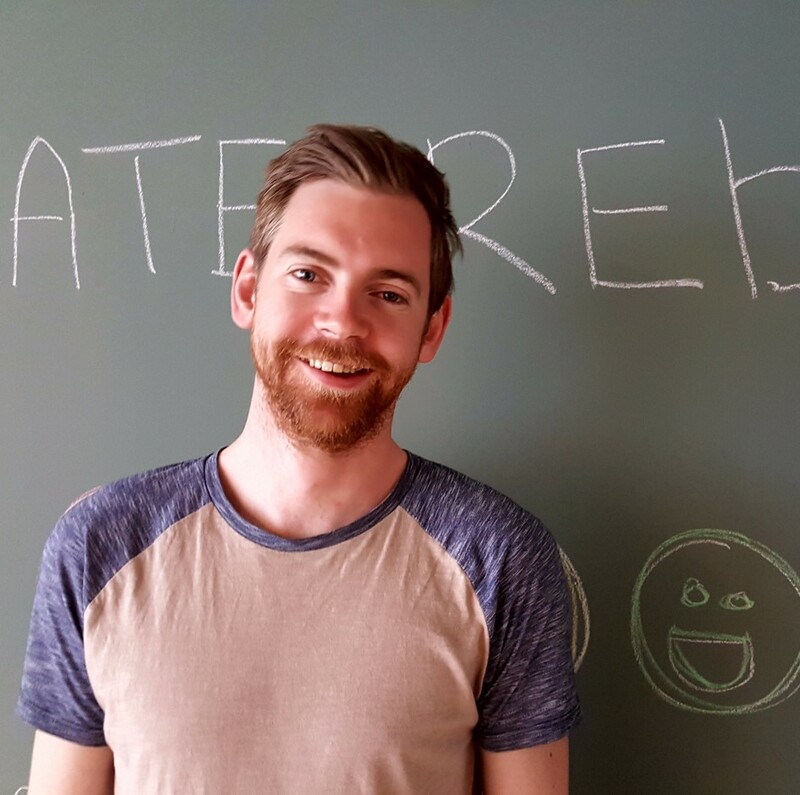 Bram is writing his master thesis on ‘Creativity in Organizations’ in collaboration with the Corporate Rebels team. Want to know more about his research? Contact him on Linkedin, or send him a message in our Slack community! I assume there will be more coming out of this research? Yes! For my master thesis I’m researching how employees perceive the relationship between emotions and creativity. We thought that it would be interesting to give a bit more scientific background on emotions in organizations. Because during my research I ran in a lot of books and articles in which theories on emotions are discussed and are presented as the truth without any scientific data to back that up. Hope you liked it! I’ll be sure to add more in my next post! Thanks for the feedback! And fixed the header! Thanks again! Thanks for your post. In your introduction you describe that you will use science for explaining emotions and implicitly state that that is more real or objective than pop management. I’m currently reading into social construction (Gerger) and that paints an interesting picture regarding science, truth, objectivity, etc. funny that you later on Use the term social construction as well. In that field of study Truth (capital T) doesn’t exist and what does exist is truth (lower case t) within a paradigm. Science has created a position in which it seems that the scientists can extract the Truth, as in: corresponding to the ‘real’ world out there. While in reality they can only describe the truth in reference to a certain paradigm of worldview. Apart from that: eager to learn more about the three mentioned companies! A problem I do have with certain pop management articles, is that they write as if they capture each and every aspect of the concept they discuss. Perhaps for them this is true, however this doesn’t have to make their perspective true. The fact that the concept is most of the times highly simplified and that its almost impossible for readers to check the validity of the sources that were used makes it, in my opinion, less objective. What if the writer’s brilliant insight is something that was socially constructed, perhaps because he noticed the articles in which he presented an easy solution for a complex problem got more readers than the others article, then all of a sudden he got interests and could benefit by changing his perspective of the truth. I did not intend to write this blog as if it was the Truth, I simply wanted to show that emotions are very complex and can be influenced in many different ways which can lead to many different outcomes, and perhaps that they have more influence on business then one might think. I hoped that I at least challenged some people to find their own truth. And perhaps if you’re interested in social constructs in organizations this is an easy read to add to your list! Grant, Hardy, Oswick and Putnam: Introduction: Organizational discourse: exploring the field. If you find any thing you think I should read, please let me know! Thanks for the ref, I will check it out! Interesting. Instead of ‘what work do I want to do?’ you choose: in what context do I want to work? Hilarious movies by the way. People working in look-alike-cages will show animal behaviour ;). Hi Bram, I think what you are saying is that a social frame influences individual emotions, right? What kind of conditions must a social frame provide to do that? Are there some academic sources for that? I esp. liked the last two examples. Keep it up! At the moment here in the Netherlands, the weather has been extraordinary good for the last month (it even rained less then ten days! Lucky us!). Records are broken and people are enjoying the sun while they can and feel happy about it :)However if the people who live in some place where the normal temperature is 30 degrees Celsius and where it almost never rains, they’d be disappointed about the ten days of rain and perhaps about the lower temperature as well. Result; Same conditions totally different influence on emotions/mood. Would you guys find it interesting to know more about this, and about how this could potentially effect organizations? If so let me know, and I’ll discuss with the Rebels if we’d could make such a post! Do check out ‘the 3 principles’ for another perspective on how emotions and thoughts are related. Love your post!! And ‘making work more fun’ is also my mission. So, nice to see I’m not the only idealistic person out there believing we can achieve this! Will do! Thanks and good to hear we’re on the same team!